The Wii Fit Plus was put on the market in 2009 as an updated version of the original Wii Fit which made an appearance in 2008. I was an early buyer and I’m so glad because the Wii Fit Plus gave me a reason to want to exercise. It doesnt even seem like exercise because its fun and there are so many different activities to choose from providing a big enough variety that I dont find myself bored. Thats just a few of the activities found under the aerobics category and doesnt even include the other three categories  yoga, balance and strength training. 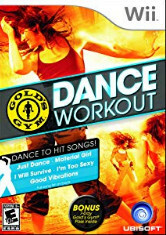 I tend to do mostly the games found under the aerobics category because those are the ones that give me the best workout and help to burn the most calories. The fact that I can have fun exercising is a huge plus. But the other thing I love about the Wii Fit Plus is that it weighs me and tracks my information for me. I can even set up a goal of how much weight I want to lose every couple of weeks. A couple other cool features are the fact that I get to customize my own workout routines and can save it for future use. It also allows me to track my steps for the day and set up a goal of how many calories I want to burn. There are lots of other features I like but I want to spend a few minutes talking about a few things I dont like about it. The first thing Ive noticed is that the balance board sometimes doesnt register my movement. For example when Im doing the free step it takes a few minutes to catch up and count my steps. Not a huge deal but definitely annoying. The other thing I dont like has to do with the step aerobics portion of the game. When I want to increase my intensity I want to step a lot faster than the game allows. Again this isnt a huge thing but it too is annoying. They should give you the option to speed it up (they do give this option but it doesnt speed up much) to a faster pace than they allow. So over all I give it a 10 out of 10 and recommend it especially if youre just getting started in an exercise program and want something easy, convenient and fun! 1. Convenience – Its easier to work out on your schedule and when you want. 2. Fun  It doesnt feel like exercise because its so fun. 3. Kids love it  This makes it easier to get the kids involved in family time. 4. No Babysitter  You dont have to pay for a babysitter so you can go workout at the gym because you can do it right at home. 6. Progress – Easy to track weight loss because it does it for you. 1. Intensity  The workouts aren’t very intense especially for someone thats been working out for a long time and is pretty fit. 2. Gimmicky  Seems like theres a lot of hype built up about it. Wasnt as impressed with it once it was purchased. 3. Expensive  Its cheaper in the longer run than say a gym membership but its a large chunk of change up front. 4. Weight Limit  There are people that weigh more than 330 pounds, which is the weight limit, that want to participate in the fun too. 5. Sluggish  The balance board response can be a little on the slow side or sluggish. 6. BMI measurements  You cant and shouldnt rely on these results. The computer cant take into consideration the way your body is built. Some people are more muscular and will have a higher BMI which isnt bad but to the Wii Fit Plus it makes them seem overweight. 7. Remote  It only comes with 1 remote and its about $40.00 to purchase an extra one. Whats all the rage about? After all its just another gaming device right? Wrong! Sure its a gaming device but people love the fact that you can get fit and have fun doing it. Its a great way to involve the whole family, especially the kids, in getting up and moving. With obesity on the rise getting up and moving is more important than ever before. Youre probably thinking ok thats great but will the Wii Fit Plus help me lose weight? Thats a loaded question. Any type of activity you do has the potential to help you lose weight if youre following a healthy diet at the same time and burning more calories than you consume. For the purpose of this article well assume youre eating a well-balanced healthy diet. So in that case the answer is yes the Wii Fit Plus can help you lose weight. 1. Body Test. Ok this technically wont help you lose weight but this is where youll get weighed, learn of your BMI, etc. The machine will keep track of this information for you and youll be able to track your progress along the way. 2. Aerobics. This is the section where youre going to find the exercising games that will get your heart rate up and make you break a sweat. Youll find things like step aerobics and super hoola in this section. 3. Variety. One thing most people on a weight loss journey find themselves complaining about is that they get bored doing the same activity/exercises over and over. The Wii Fit Plus has a large variety of exercising games making it easier to not get bored with fitness. 4. Frequency. As with any exercise program consistency is key. You cant expect to lose weight if youre not using it frequently. So now that you know you can lose weight with the Wii Fit Plus if youre eating a healthy diet go have fun getting fit! A couple common questions that people seem to have these days is should I buy the Wii Fit or the Wii Fit Plus and whats the difference between the two of them. Those are great questions and to be honest theres not a lot of difference. After doing some research it makes more sense to buy the Wii Fit Plus. Lets take a look at the two starting with the Wii Fit. The Wii Fit was introduced in May 2008 and took the idea of exercising to a new level. The balance board (looks like a big rectangular scale and weighs in at approximately 8.8 pounds) is able to register your movement when standing on it thus telling you how good or not so good youre doing on various activities. It also has the ability to test your BMI (body mass index) as well as weigh you. So what is all the rage about a machine that can weigh you and give you your BMI? Truth is the Wii Fit offers a lot more than just what was mentioned above. With all the different exercise activities, which are broken down into four categories  yoga, aerobics, muscle and balance – available it offers variety and for those who get bored easily when it comes to exercising variety is a good thing. It also gives you the ability to work out in the comfort of your own home. As mentioned above the Wii Fit has four different categories  yoga, aerobics, muscle and balance. Youll find 15 different yoga moves as well as 15 different muscle toning moves and about 9 moves in both the aerobics and balance categories. Not bad for an at home work out option. Ok so now lets take a look at the Wii Fit Plus. The Wii Fit Plus is simply an updated version of the Wii Fit. It hit the market in October 2009. 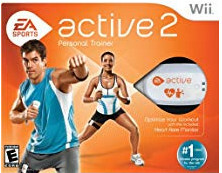 In addition to the activities featured on the Wii Fit the Wii Fit Plus saw an addition of 15 new aerobics and balance games. Also added were six new yoga and strength training activities. Nintendo took things a step further allowing you to track how many calories you burn and even create your own customized exercise routine. As you can see there arent a whole lot of differences between the two but it makes more sense to purchase the Wii Fit Plus because it offers more variety and options than its counterpart the Wii Fit. While the Wii Fit Plus offers several different exercises eventually most people will want to try something new. Takes a holistic approach to fitness. A strong selling point for this program is the fact that it takes nutrition and lifestyle factors and combines that with different activities. And the best thing is you don’t ever have to leave the comfort of your home. You’ll find customized routines as well as a 30 day challenge and you can even slip the nunchuk into a leg band and use that in conjunction with the Wii remote to track movement of both your lower and upper body.